Does anybody interested in twitch 2D gamedev channel? I will be doing a couple more hours of streaming as I program my memory game with Phaser 2. 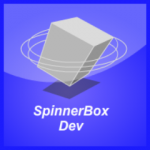 Join me here: http://www.twitch.tv/spinnerbox It is still experimental, so I will not use Mic but I will talk with viewers in the chat window.